We thought this campaign, developed by JWT, Dubai for Pause & Play International Film Festival, was neat. 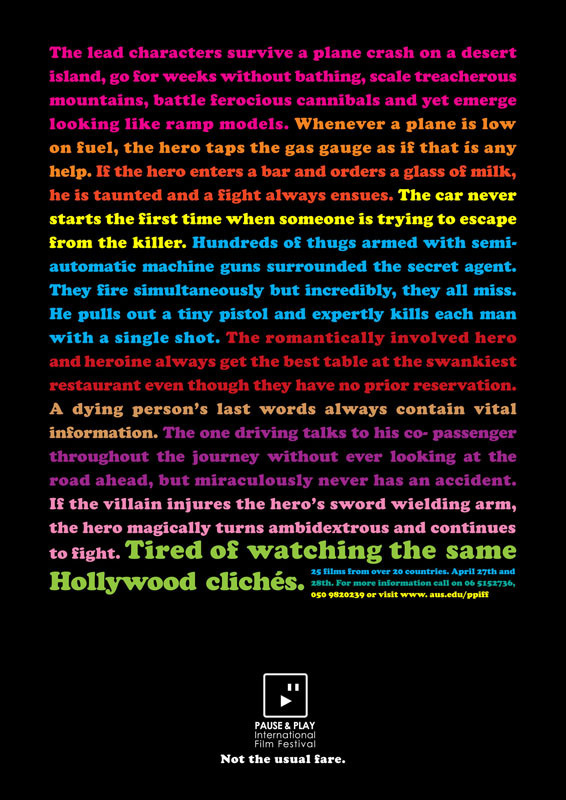 The theme, "Tired of watching the same Hollywood cliches," corresponds to the tagline, "Not the usual fare." We were pretty surprised by the number of cliches the copywriters were able to find; then again, they forgot a big favourite: the improbable pair always gets together. 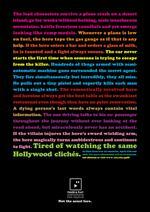 Each poster relies entirely on text to draw interest to the film event. Not an easy thing to do. Whatever happened to good typography? Oh right, CGM. Okay, no, Cappiello definitely hammered in the first nail. But by no means was CGM far behind, give or take a few decades.